Disclosure: Affiliate links are also used in this post. Read my full disclosure here. 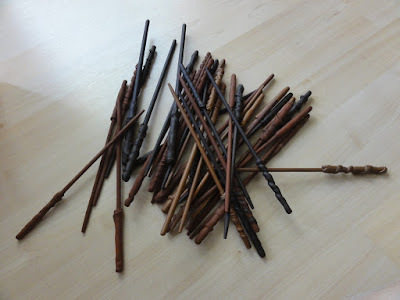 We made these as favors for our wedding, which you can check out in this post, but these would also be great for Halloween costumes and Magical/Harry Potter themed birthday parties! Wood Chopsticks – You can find big bags of these at Asian stores for super cheap, or if you eat at Chinese restaurants a lot, you can stock up on the ones they give you. Otherwise, there is always Amazon! Acrylic Paint – I used three different shades of brown, black, and white. The black and white were for mixing with the browns to make even more shades, or I would paint with the brown first and then use a fine point brush with the black for cool streaks and designs. 1. Plug in your glue gun to get it warmed up. Your glue gun will probably come with instructions and it will tell you how long to wait, mine takes about 5 minutes. 2. While your glue gun is getting warmed up, set up newspaper or paper towel on your work surface. We had hardwood floors, so I had set up my crafting spot on the floor. 3. Once your gun has warmed up, take a chopstick, hold it sideways, your hand should be covering the pointed end, the part you will not be hot gluing, and start covering the big end (the end you are not holding) in hot glue. BE CAREFUL! 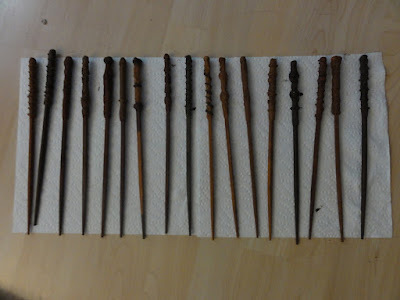 Hot glue is hot enough to burn; I still have a burn mark on my leg from when I made these and a little dripped, so make sure you are holding the chopstick over the newspaper! If you feel the need to shape your glue at this point, use another chopstick; do not touch the glue until it has had some time to cool down. You can touch it once it has cooled down and do some shaping then too before it solidifies. 4. After the hot glue has cooled on the stick, you can rub it between your hands and shape it however you want! 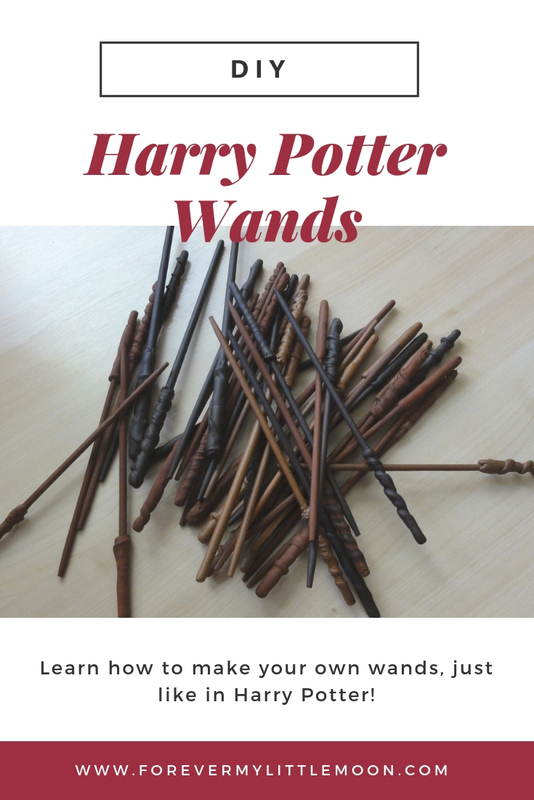 You can add more hot glue to make a thicker handle or you can make fun bumps and designs (that is how I got the raised swirls on my wands). 5. Wait until your wand completely cools and hardens before setting it down to do the next one, or your designs could become misshaped as the glue will flatten on the floor. You could also get a styrofoam block and stick them in upright if time is of the essence. 6. After you have finished with the hot glue, it is time to paint! Once finished painting, set aside to dry, and then you are done! For more photos of the process, Majan on Deviantart has a very similar step by step tutorial, which you can check out here. These are so cool and such an easy craft. My little would love it! These are AWESOME!! We are planning a Harry Potter birthday party for my oldest in December! 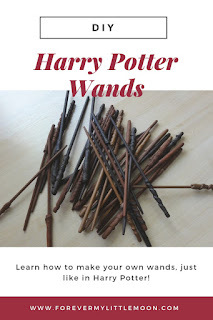 I was actually just trying to figure out how to work wands into the budget and am SO glad I found your post! What a great DIY!! They look so authentic and just so cool. Oh my, i'm gonna be doing this for the halloween. Thank you for showing us how to do it. Great craft for me and my kids. This is an awesome craft. Love it!! This is such a cute idea, I will have to try it with my kids,they will love it, thanks for sharing! How totally adorable!!!! Love all the creative ways to celebrate Harry Potter!!! These are so darling! So fun! Perfect for Halloween. I love these DIY ideas. I love that it is so easy, before Halloween and super cute. Thanks for the ideas. That is an awesome way of saving money and sparking creativity! How fun! I love how Halloween brings out so much creativity! Ahhhh these came out awesome! So easy too! Nice little craft. What a great idea for a fun Halloween activity for both adults and kids to enjoy together! 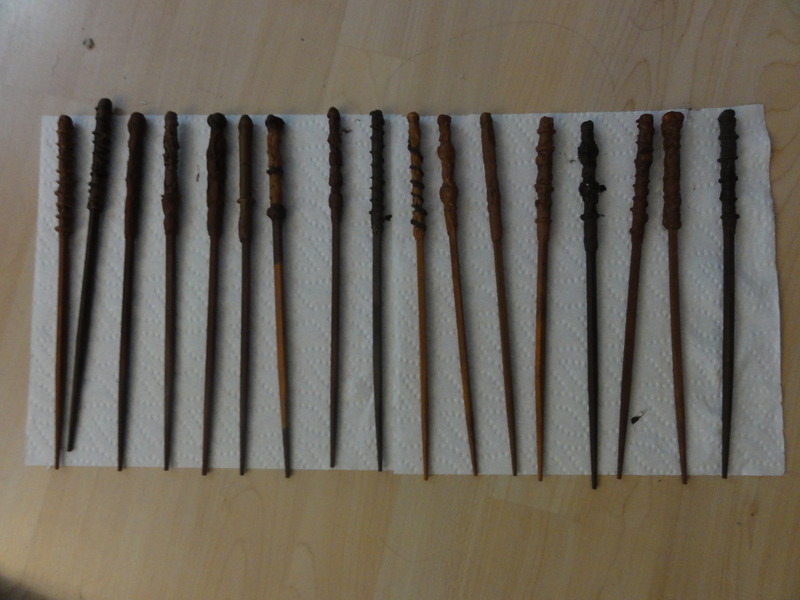 DIY Harry Potter Wands are amazing! I am just in love with these details. You know my son’s birthday is also coming soon and I would be hosting the harry potter themed bash at one of the New York venues. 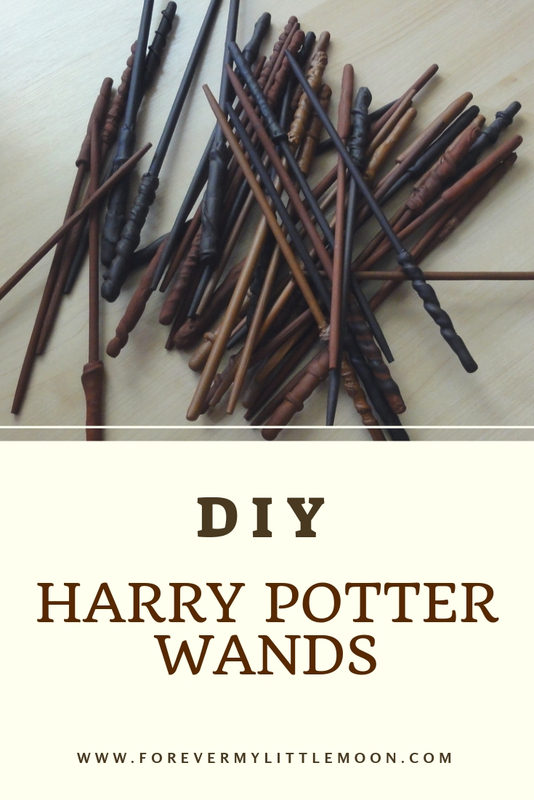 These wands are so easy to make and I am sure that the kiddos would be having great time with all of the activities.